I did not have a very productive weekend in quilting; somehow I just never got around to working on anything. Thankfully, my husband had a dentist appointment Tuesday afternoon, and I ditched work a bit early with him so that I could work on the You + Me quilting while he got his teeth cleaned. I finished the quilting and I have the top trimmed up (it turned out nice and square, yeah!). Just a bit of binding left and it will be all done! 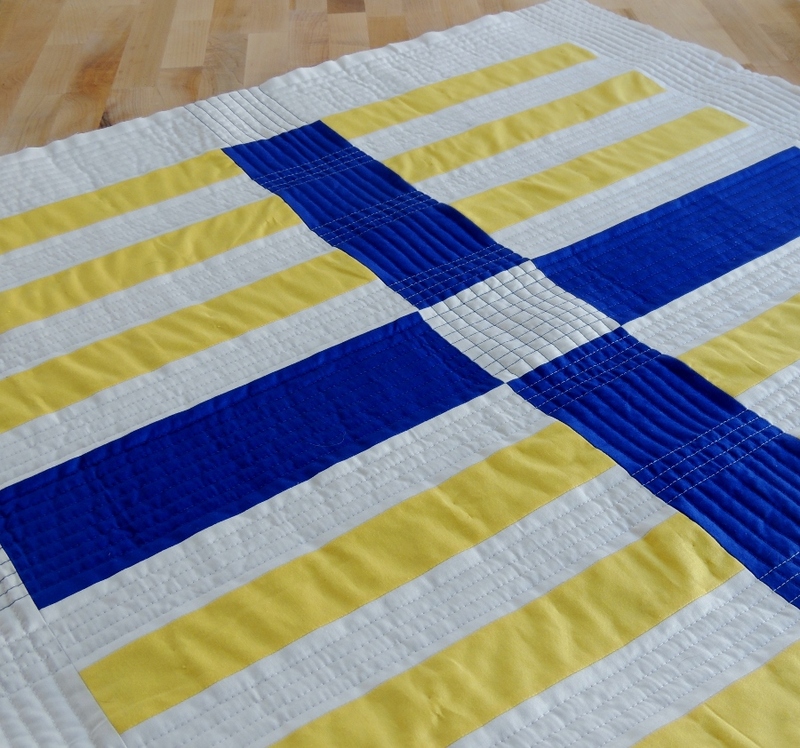 I opted to continue the straight line stitching for the entire quilt. I switched my thread to match the blue fabric, and I really like how the grid worked out in the corners and centers of the blocks. If you are interested, links to the back story for this quilt are below. Love the quilting! Beautiful quilt!